The Membership of a Particular Social Group Ground in LGBTI Asylum Cases Under EU Law and European Case-Law: Just Another Example of Social Group or an Independent Ground? The 1951 Refugee Geneva Convention relating to the Status of Refugees defines the different grounds upon which a person can be recognized as a refugee. However, throughout the years, different reasons of persecution have emerged which were not envisaged by its drafters. Traditionally, these claims have been recognised under the membership of a particular social group ground. This is also the case of Lesbian, Gay, Bisexual, Transgender and Intersex (LGBTI) people. When transposing the Qualification Directive 2011/95/EU-recast into their legal systems, some European Union Member States do not explicitly foresee sexual orientation or gender identity as a ground for asylum. 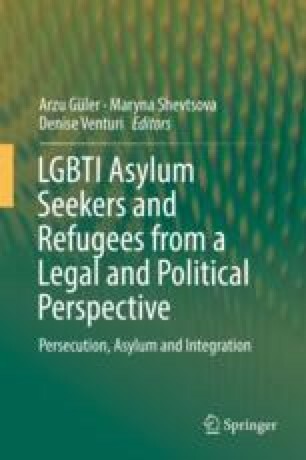 This paper aims to analyze what different social group ground approaches exist and what impact these approaches have had on LGBTI asylum cases, as well as to determine the potential role that the interpretation has on them.